Vikram Singh Solanki (born 1 April 1976) is an Indian-born former English cricketer, who played county cricket for Surrey having previously spent 17 years at Worcestershire. In 2007, he became the 24th Worcestershire batsman to pass 10,000 career runs for the county. He also captained Worcestershire from 2005 to 2010, before resigning mid-season. He also played over 50 One Day Internationals for his country as a batsman and occasional off-spinner. In September 2015 he announced his retirement as a player. Solanki was born in Udaipur, Rajasthan, India, but moved to Wolverhampton with his family at the age of eight. Solanki played junior and senior cricket for Wolverhampton cricket club and he made his first-class debut for Worcestershire in 1995, although he had played one-day cricket for the county two seasons earlier. In 1996 he was awarded the NBC Denis Compton Award. Although principally taken on by Worcestestershire as a batsman, on his first class debut, due to there being no fit spinners available, he was selected to bowl his off breaks — something he had done with a degree of success the previous winter while on tour with England U19. Although generally an occasional bowler, Solanki produced a ten-wicket haul, five wickets in each innings, against Lancashire at Old Trafford in 1996. In 1999 he achieved a batting average of over 40, something he repeated in 2000, 2002, 2004 and 2006. 2006 was also the first season since 2000 in which he managed to top 1,000 first-class runs, making 1,252. After obtaining an LLB from the Open University, Vikram is currently studying the Legal Practice Course at the University of Law. Solanki was picked for two England A tours: to South Africa and Zimbabwe in 1998–99, and to Bangladesh and New Zealand in 1999–2000. His fine performances on these latter tours led to his making his full One Day International debut against the South Africans later that same winter. However, he was unable to translate his A-team feats into runs for the senior England side, and after eight innings yielding just 96 runs, he was dropped and not picked again for more than three years. Solanki represented England on 51 occasions in one-day cricket, but has not been selected for a Test Match. His natural talent only rarely came through into his performances for his country, and his England batting average was in the mid-20s. He made two international hundreds, 106 off 108 balls against South Africa at The Oval in 2003 (when he shared an opening partnership of 200 with Marcus Trescothick), and exactly 100 off 93 balls versus Zimbabwe at Bulawayo in 2004/05. 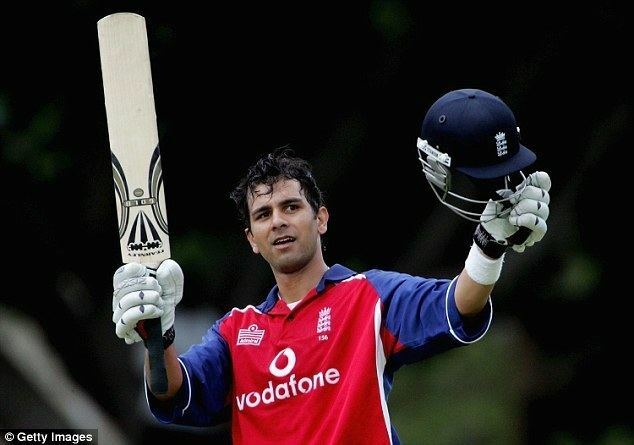 Solanki played in four of the five One Day Internationals when England toured Pakistan in December 2005, his best score of 49 also being the highest in England's innings in the final match, which England went on to win by 6 wickets. However, Solanki was not selected for the team to go on the tour to India, instead being chosen to captain the 'A' team in the West Indies. On 1 July 2006, Solanki took his first wicket in ODIs at Headingley, removing Sri Lankan opener Sanath Jayasuriya for 152. It was something of a hollow triumph, however, as Jayasuriya and Upul Tharanga (109) had put on 286, a world record for the first wicket in ODIs, and England were crushed as Sri Lanka scored 324/2 to win by eight wickets in just 37.3 overs. 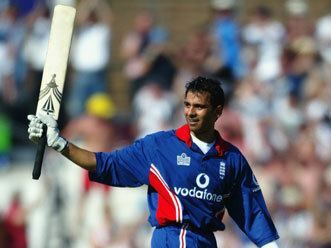 Solanki made history against Australia in 2005 when he became the first supersub in a One Day International, replacing Simon Jones to strengthen England's tail after a batting collapse; coming to the crease at no.8 with England 93/6, Solanki made 53 not out. He also took part in the final two matches of England's time in the 2007 Twenty20 World Championship, replacing the injured Matt Prior. Keeping wicket and opening the batting in both of his matches in that tournament, he took two catches in the first, conceded no byes in either match, and scored 24 and 43. Those were his last international appearances. Solanki was also an occasional bowler of off-spin for Worcestershire, although he has only bowled a handful of overs for England. 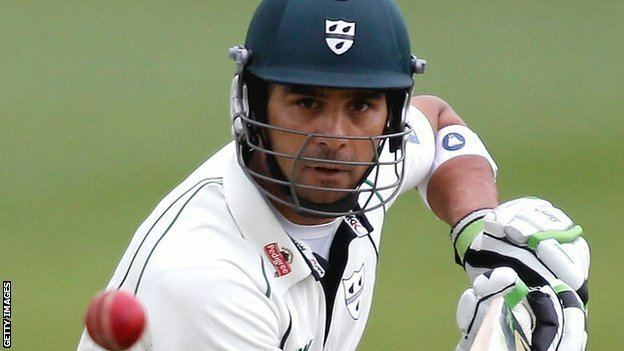 Worcestershire appointed Solanki as captain of the county for 2005, succeeding the retiring Steve Rhodes. In September 2006 he agreed an extension to his contract which saw him remain at the county until 2009. Following a defeat by Glamorgan on 12 August 2010, he announced his resignation as captain with immediate effect stating that "it was time for somebody else to be at the helm". After showing good form in the first half of the 2009 season Solanki was called up to the England Lions squad for their fixture against Australia. 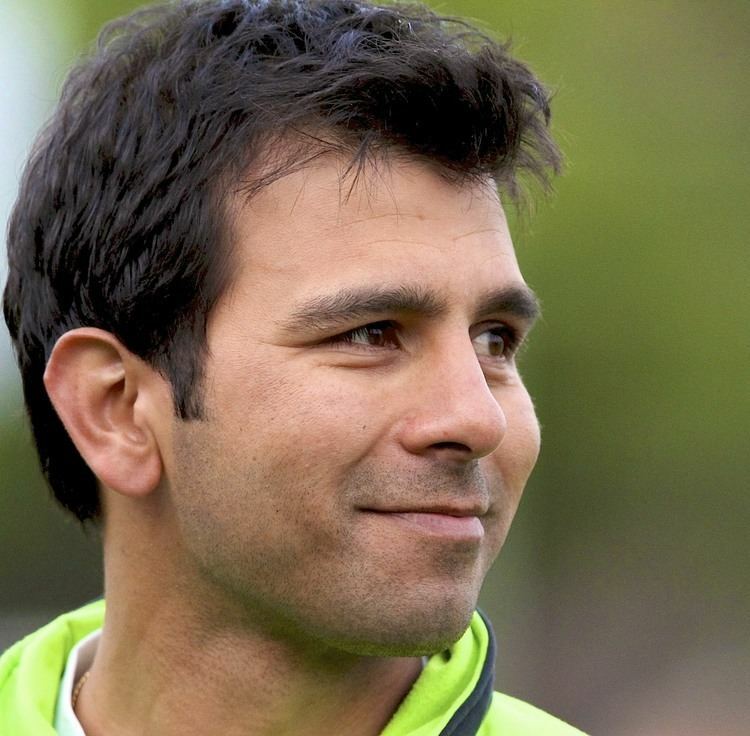 In July 2012, it was announced that Solanki would leave Worcestershire at the expiry of his contract in September, and join Surrey on a two-year contract. 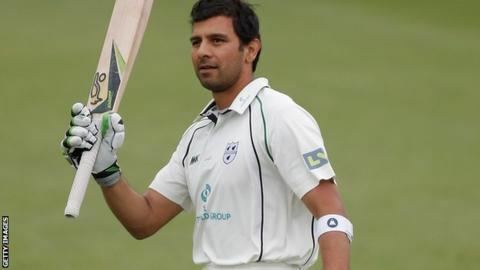 He announced his retirement from the first-class game at the end of the 2015 season, during which he played in only one County Championship match. Together with Worcestershire teammate Kabir Ali, Solanki accepted an offer to play for Rajasthan in the Indian Ranji Trophy during the 2006–07 season. Solanki joined the Indian Cricket League (ICL) in 2007, he made six appearances for the Mumbai Champs in his single season of ICL.